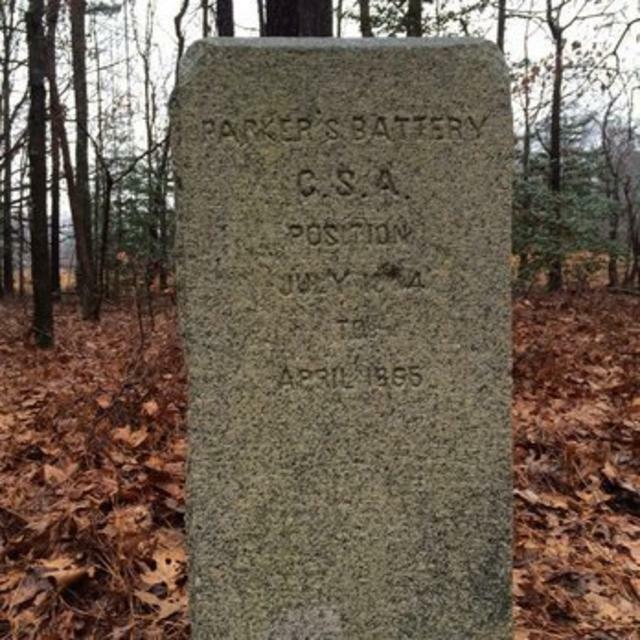 Parkers Battery is a well-preserved example of the Confederate defenses known as the Howlett Line. The site was manned by Parker’s “Boy Company” comprised of men from the City of Richmond. Infantry trenches ran from the James River south to the Appomattox River, supported by artillery positions along the line. Parker’s Battery was involved in frequent duels with Federal positions located less than one mile east. Confederate forces occupied this site until the fall of Petersburg, when they joined Lee on his retreat to Appomattox. Parker’s Battery features a walking trail with several interpretive signs. The parks close at sunset.